Our DVD cases, launched earlier this year, were a welcome addition to our store. 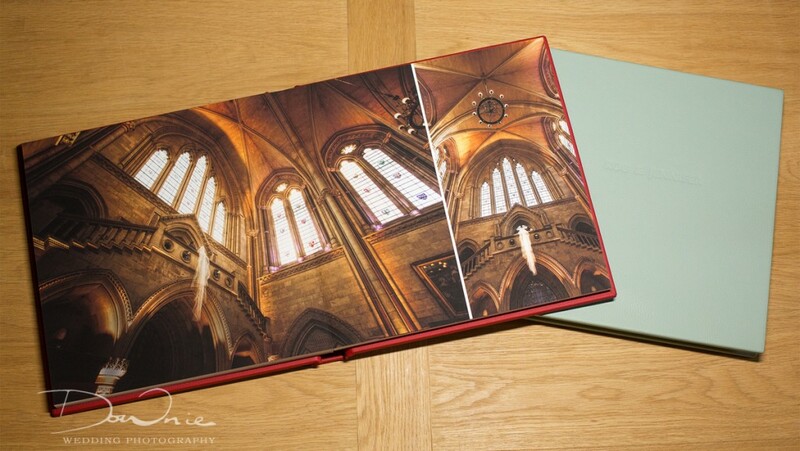 We had received requests for a long time to supply DVD cases which matched our Fine Art Albums. Upon their release we received many queries about offering digital packages over albums. Whilst we can provide advice about the pros and cons of Albums vs DVDs, we thought it would be better to put a post together written by a photographer who has had the same album or DVD dilemma, and to hear how they approach this with their clients and in their business. Barrie Downie, from Downie Wedding Photography, has kindly put an article together to share his experiences selling albums and DVDs to clients. So… in a world dominated by digital imaging, is it best to go with the trend, or stick to the tradition of wedding albums? Over the past few years, there has been a massive swing in the wedding photography industry of handing over digital images instead of providing a wedding album. This is not a criticism at all, we went that way ourselves for several years. It is not surprising that in this digital age, customers want the ability to share and print their own images. Since seeing and handling Folio Albums at the SWPP convention in January 2012, our passion for the wedding album has been reignited once more. 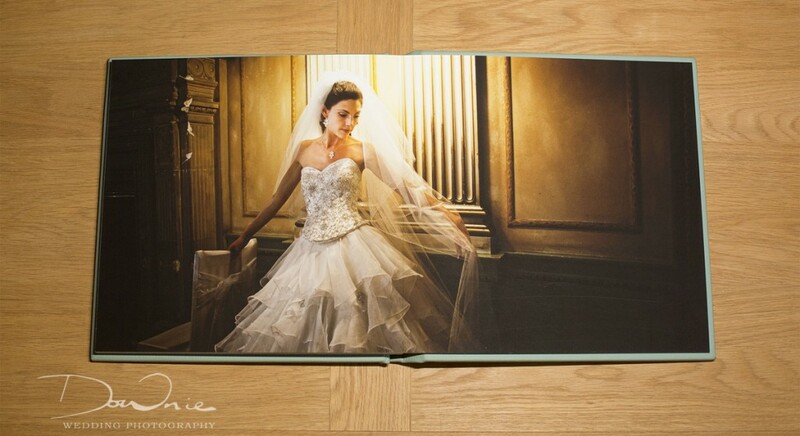 Wedding albums are tangible and tactile, a physical reminder of the wedding day. We adore the fine art papers, quality inks, accurate colours, and reproduction that Folio Albums use, alongside the reproduction of our images as we intended them to be seen. Wedding albums last for years, they are easy to pick up and share and don’t have the habit of going missing in a drawer or becoming corrupt over time. Our customers don’t tend to have calibrated monitors, so we can’t be sure they are viewing the images at their very best. With an album printed by a quality manufacturer, however else the customers view their wedding images, they will always have a quality version of the images to keep. Children, your parents, and grandparents, will be able to view a wedding album, it will age with the couple and grow in value to the family when it is passed down to the generations. Think how you are amazed now if you are lucky enough to see a single family photo from 100 years ago, and then imagine your children looking at a beautiful album of archival paper with timeless photographs in years to come. Clients love the immediacy of receiving a CD of images which they can share on social media websites and via email, but so often after the honeymoon when the excitement has worn off they never quite get around to producing a wedding album for themselves. We make sure that couples choose their photos within three months of their wedding and that way we can design an album and have it printed and delivered to them as soon as possible. Happy clients are your best way of getting referrals, and if they have a beautiful album to show their friends you are bound to get more referrals and therefore more business. The albums available to order directly by clients do not even begin to reach the standards of those available to professional photographers, and by providing a quality product as part of the wedding package, it adds perceived value to the service we are providing. An album has much more ‘wow’ factor than a CD landing on the clients’ doorstep. We photographed a wedding for a wedding photographer over a year ago and gave him a disc of images, he has done nothing with them as yet but we have a lovely Folio sample album in our studio with his photos, which our clients love. So even we as photographers fall into the same trap of being too busy to do anything with the photos we love. As professional photographers that’s what should differentiate us from amateur photographers, or friends of the family who are photographing weddings, we should hand over a finished product a beautiful album that they can’t buy online and fine art prints framed to hang on their wall. I just wanted to thank Barrie for writing this post for us, we hope that it helps with the conundrum of offering Albums or DVDs! © 2019 Folio Albums Ltd. All rights reserved.